Engro Foods Limited (EFL) is built from the fabric of Pakistan, they launched a campaign “Colors of Pakistan” revealing their 2nd Coffee table book called “Colors of Deosai”, this book launch was very well received by the media and the public. It is a sustainability effort of Engro Foods to give back to the nation and contribute towards building a softer image of Pakistan. The Chief Guest at this occasion was Madam Maryam Aurangzeb, Minister of State for Information and Broadcasting and it was chaired by Ambassador of Netherland, Mrs. Ardi Stoios Braken. Speaking at the occasion Marriyum Aurangzeb, Minister of State for Information, Broadcasting, National History and Literary Heritage said that with the grace of Almighty Allah, Pakistan had almost won the war against terrorism and now time was ripe to Win War of Perception through projection of national history, cultural heritage and language. She said that such books could play the role of a catalyst in winning this war. The minister said that the media had an important role in creating awareness among the youth in regards to preservation of environment, bio-diversity and the rapidly changing panorama. The new generation of the country could be attracted towards national culture and heritage through books and exhibitions showcasing Pakistan’s natural beauty, culture, heritage and bio-diversity. The minister said that the book showcasing the natural beauty and bio-diversity of the country should be displayed in all foreign embassies of the country and at all airports. Moreover she said it was imperative to exhibit such beautiful books at colleges and universities to apprise the youth about the beautiful landscape of the country. She said that due to decline of local film industry in the past, Pakistan was unable to promote its bio-diversity through screen tourism and this vacuum could be filled by promotion of national environmental beauty through books. The minister lauded the role of corporate sector in promoting the natural beauty of the country and the publication of the splendid book as part of its social responsibility. She said that Deosai had key role in eco-system of the country and its conservation was vital. She said that Arif Amin and Ghulam Rasool were renowned photographers who did tremendous job to highlight the beauty and bio-diversity of Deosai through the lens of camera. She said that she was glad to be part of the launch of the book and the photo exhibition organized by Engro Foods Limited. 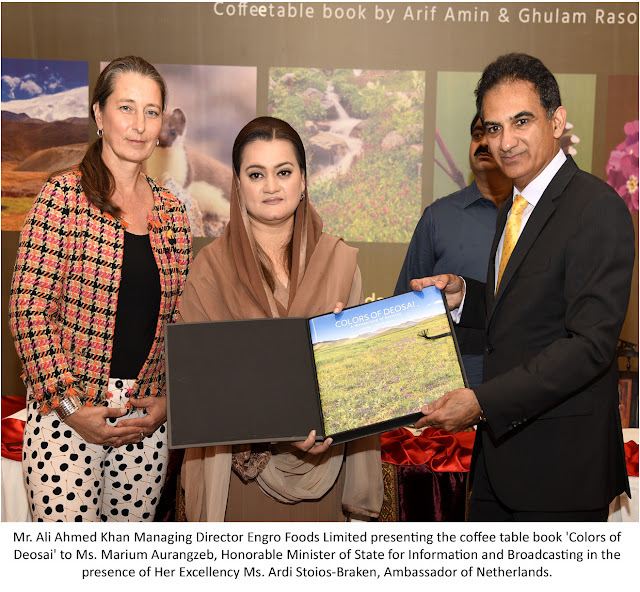 On behalf of Engro Foods Limited, Mr. Ali Ahmed Khan Managing Director of Engro Foods Limited said, “Under the Campaign “Colors of Pakistan” we are proud to be launching our second book, “Colors of Deosai”. Engro Foods remains committed to build our national brand at all fronts. We have strengthened the economy by attracting foreign investment of USD 486 million through Friesland Campina, the 6th largest dairy giant of the world. Our vision is to contribute towards the positive image building of the nation, strengthen the dairy sector, empower our farmers, improve their livelihood and provide the best quality products to our consumers. 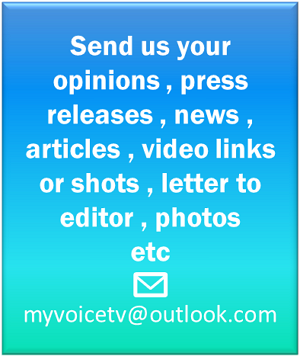 To make this vision a reality we would request support of our regulators to create a sustainable and conducive business environment for the dairy industry. It is imperative to bring alignment between the regulations of Federal & Provincial Food authorities, otherwise it will stifle the economy. Engro Foods and FrieslandCampina are here to stay, we have and we will continue to play our role in creating a Stronger, Healthier and more Prosperous Pakistan”. After establishing in 2005, within a short span of 10 years Engro Foods Limited became the 2nd largest dairy company in Pakistan. The credibility it built, fueled the economy with a foreign investment of USD 486 million through Friesland Campina, the 6th largest dairy cooperative in the world. This book launch event was graced by prominent media personnel, multiple members of the UN bodies, NGOS and dignatories. In spite of becoming a MNC, Engro Foods remains committed to the beat of Pakistan and this book launch event is a proof of their commitment towards the nation.